OLD PARKED CARS. 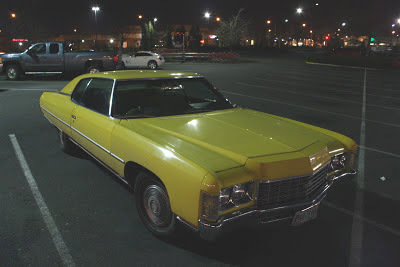 : 1971 Chevrolet Caprice Coupe. 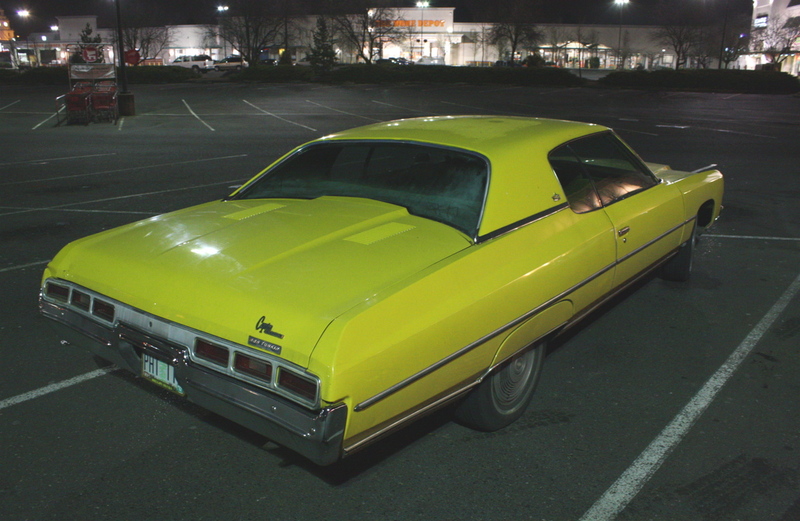 As a child, I was always amazed at just how big the '73-'76 Chevy Caprices were. My aunt and Uncle had a '75 Blue 4 door. The biggest car I had ever seen! It's nice to see one of these that's not wearing the 20 inch "clown shoes". 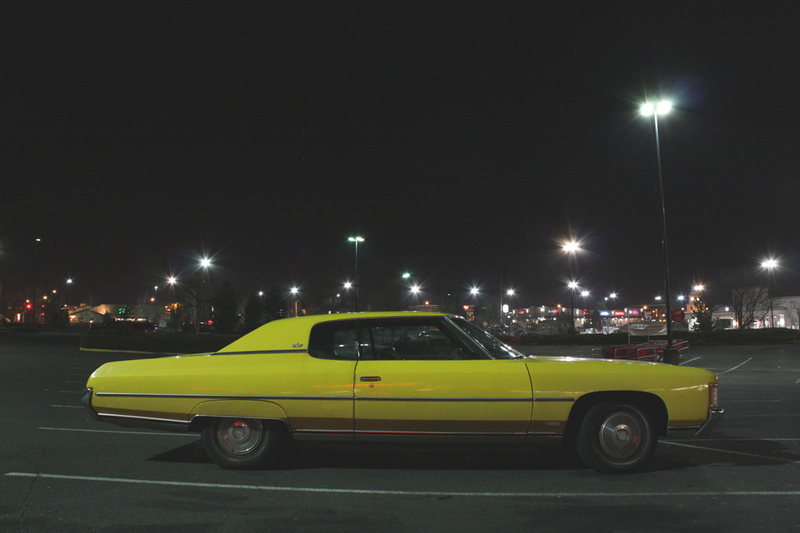 My dad had a blue 75 Impala back in the 80s. wow, I haven't seen one of these in a while. 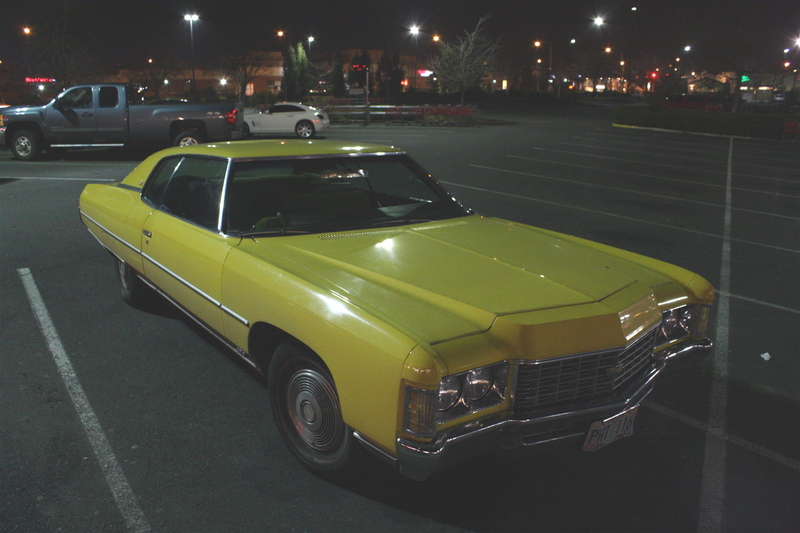 it looks good in yellow and thank god it's not riding on massive airplane wheel sized rims. It looks perfect the way it is. I wonder if the owner hears any taxi jokes? I agree with the above comments about how nice it is to see one of these without the ridiculous wheels. Those things look like clown cars. Canary in a coal mine indeed. Great lighting, love how the yellow stands out. Great comments on what might be my favorite grainy night shot yet. 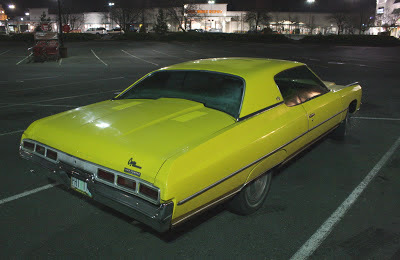 It's hard for me to think of a less desirable line of cars than the Caprice. I actually get a physical satisfaction from not owning one as I type this.